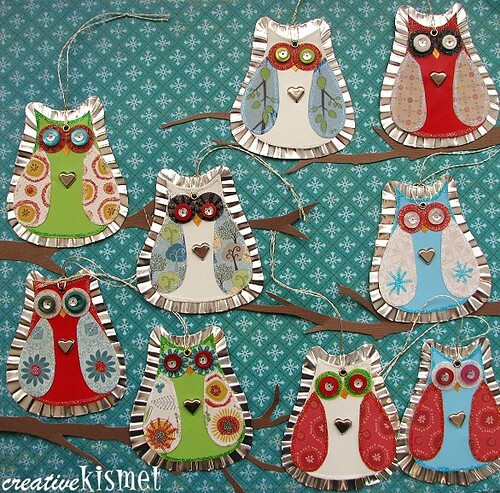 Here are my finished little owl ornaments for Amy’s Ornament Swap. Yay! They are done and not even due until Dec 4th… I think. Yes, yes December 4th. I am never done early for an Amy swap. I would have been late again this year had she not moved the date back a bit. Thanks Amy. AND this came in the mail yesterday. A book!! 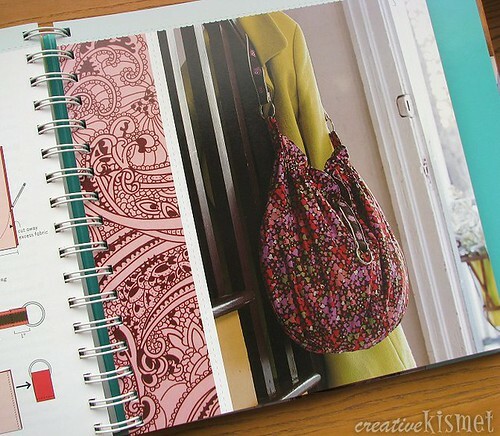 A One Yard Wonders book…. that I am in!!! I was surprised to see my scrunchie bag in the book. I had almost forgotten what it looked like. It seems ages ago that I made it and sent it off. It has been an absolute delight looking through this book to see ALL of the amazing contributions. A great book to put on thee ol’ wish list. Now, I am off to battle and conquer this stupid cough I have. It’s the cough that lingers. UGH!!! This entry was posted in Holiday Hoopla, Reading. Bookmark the permalink. yay! congrats on your work in the book. that’s wonderful! and oh my, those little owls are so cute!! Your ornaments are just lovely! 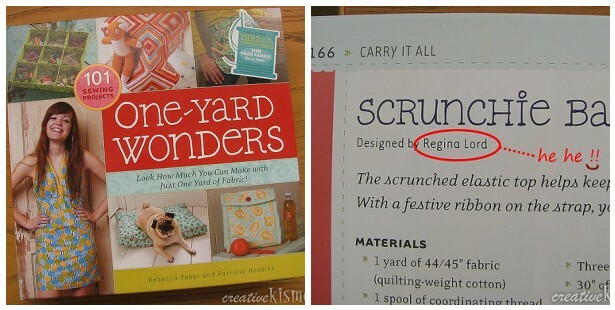 Congrats on your feature in One Yard Wonders! Those owls are so adorable. The swappers are super lucky!! Congratulations on the book!! Cute bag! That is so exciting. Great job on the owls too!! Wow! Love the ornaments. Very very cute and clever, I might add. Yeah! I finally made it and got to join all the cool girls in a book! One of my dreams come true. Mine is page 118 – the beachtime towel tote. However, with just one photo, one can’t really see what’s so great about the bag. Thus, I made a little picture story on my flickr here – http://www.flickr.com/photos/calicodaisy/sets/72157622729887857/. Oh, and to Michele C — I intend on making that beachtime towel tote and I was very excited to see the additional pictures!